TORONTO, ON – When renowned University of Toronto (U of T) geophysicist J. Tuzo Wilson cemented concepts in the emerging field of plate tectonics in the 1960s, he revolutionized the study of Earth's physical characteristics and behaviours. Decades later, successor researchers at U of T and Istanbul Technical University have determined that a series of volcanoes and a mountain plateau across central Turkey formed not solely by the collision of tectonic plates, but instead by a massive drip and then detachment of the lower tectonic plate beneath Earth's surface. The researchers propose that the reason the Central Anatolian (Turkish) Plateau has risen by as much as one kilometre over the past 10 million years is because the planet's crust and upper mantle – the lithosphere – has thickened and dripped below the region. As the lithosphere sank into the lower mantle, it first formed a basin at the surface, which later sprang up when the weight below broke off and sank further into the deeper depths of the mantle. "It seems the heavy base of the tectonic plate has 'dripped' off into the mantle, leaving a massive gap in the plate beneath Central Anatolia. Essentially, by dropping this dense lithospheric anchor, there has been an upward bobbing of the entire land mass across hundreds of kilometres," said Professor Oğuz H. Göğüş of the Eurasia Institute of Earth Sciences at Istanbul Technical University (ITU), lead author of a study reporting the findings published in Nature Communications this month. It's a new idea where plate shortening initially squeezed and folded a mountain belt, triggering the thickening and dripping of the deep lithosphere, and then increasing the elevation of most of central Turkey. Puzzled by the presence of such a process at a significant distance away from regular plate tectonic boundaries, the research team set about identifying why, in an area of high heating and high elevation, is the lithosphere below completely gone – something that was recently discovered from seismology. They tested high-performance computational models against known geological and geophysical observations of the Central Anatolian Plateau, and demonstrated that a drip of lithospheric material below the surface can account for the measured elevation changes across the region. "It's a new variation on the fundamental concepts of plate tectonics," said Professor Russell Pysklywec, chair of the Department of Earth Sciences at U of T and one of the study's coauthors. "It gives us some insight into the connection between the slow circulation of near-solid rock in Earth's mantle caused by convection currents carrying heat upwards from the planet's interior, and observed active plate tectonics at the surface. "This is part of the holy grail of plate tectonics – linking the two processes to understand how the crust responds to the mantle thermal engine of the planet." Pysklywec carried out the study with Göğüş, who received his PhD from U of T in 2010, and fellow researchers at ITU including Professor A. M. C. Şengör, and Erkan Gün of the Eurasia Institute of Earth Sciences at Istanbul Technical Institute. Gün is also now a current graduate student at U of T, supervised by Pysklywec. The research adds to decades of groundbreaking work in plate tectonics at U of T, and builds on Wilson's seminal work. "Tuzo Wilson is a towering figure in geophysics internationally and the person most responsible for pioneering the ideas of plate tectonics in the 1960s," said Pysklywec. "I am pleased that we are continuing his legacy in geophysics with our work." While Pysklywec notes there are many locations on Earth missing its lithosphere below, he is quick to reassure that no place is in imminent danger of sinking into the mantle or boosting upwards overnight. 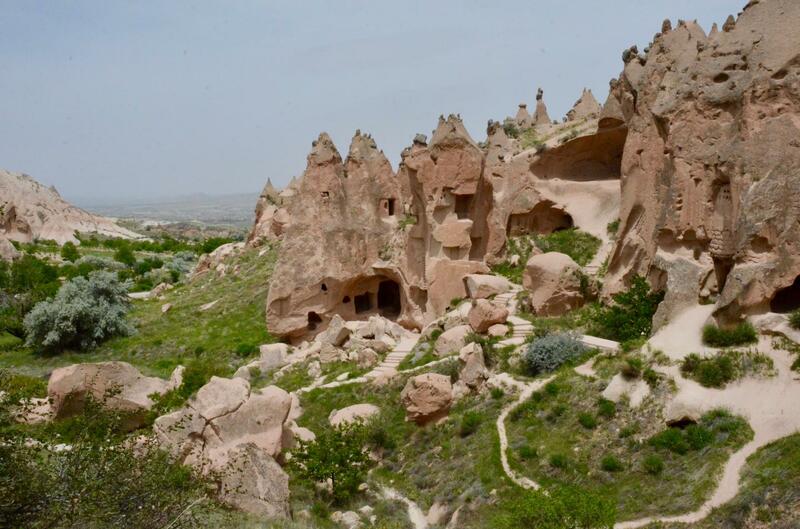 "Our results show that the Central Anatolian Plateau rose over a period of millions of years. We're talking about mantle fluid motions and uplift at the pace at which fingernails grow." Göğüş highlights the links of the tectonics with human history saying, "The findings are exciting also because of the link with the remarkable historical human activity of Central Anatolia where some of the earliest known civilizations have existed. For example, Central Anatolia is described as an elevated, dry, cold plain of Lycaonia in Strabo's Geographika in 7 BC, and even cave paintings in the region dating to approximately 7000 BC record active volcanic eruptions on the plateau." The study, titled "Drip Tectonics and the enigmatic uplift of the Central Anatolian Plateau", was published November 16 in Nature Communications. The research was made possible with support from the Scientific and Technological Research Council of Turkey (TUBITAK), Istanbul Technical University, and the Natural Sciences and Engineering Research Council of Canada (NSERC).